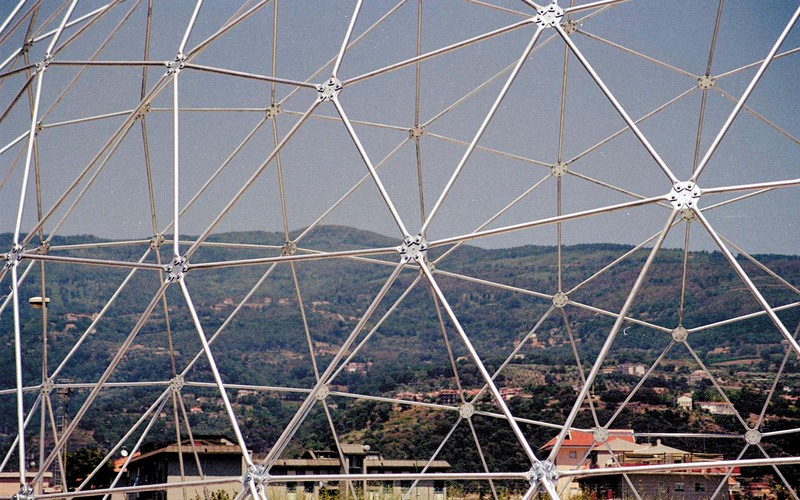 Lamezia Terme is a small town in South Italy near the Tyrrhenian coast. 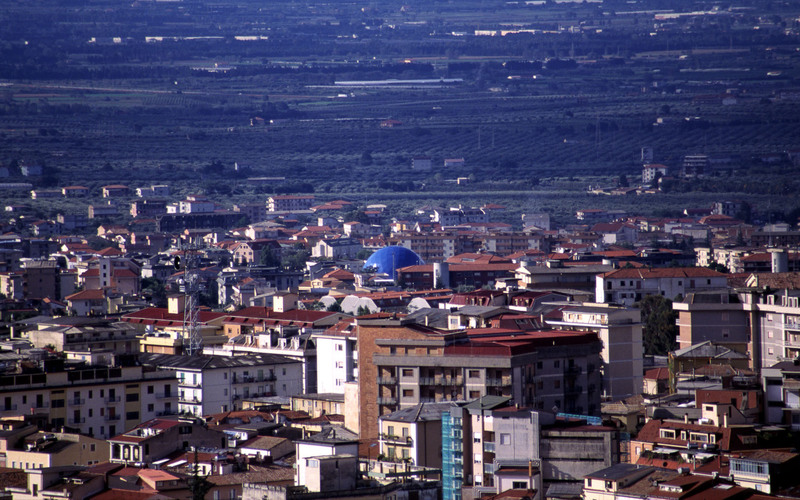 The community lies in the district of Calabria and is becoming popular with tourists. 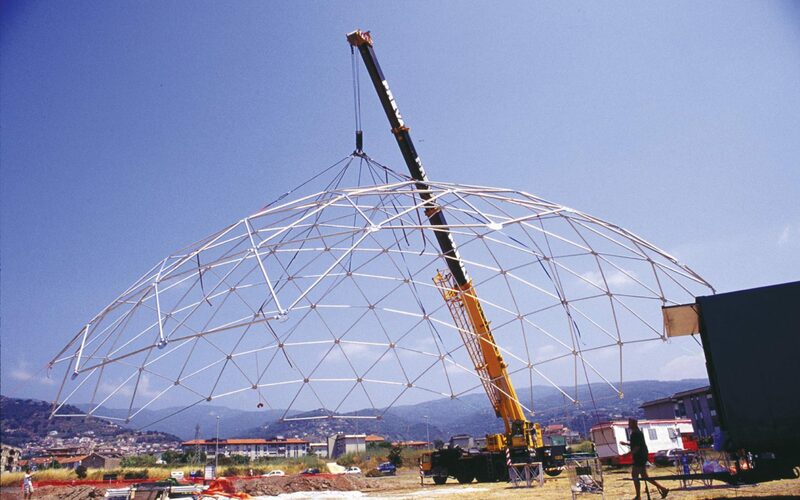 In order to cater for the increasing demand for leisure activities the administration is planning a multifunctional hall for sport and cultural events. 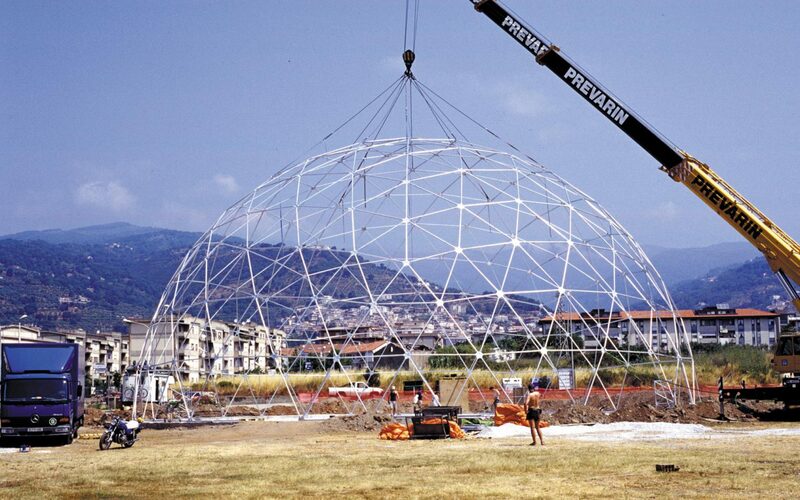 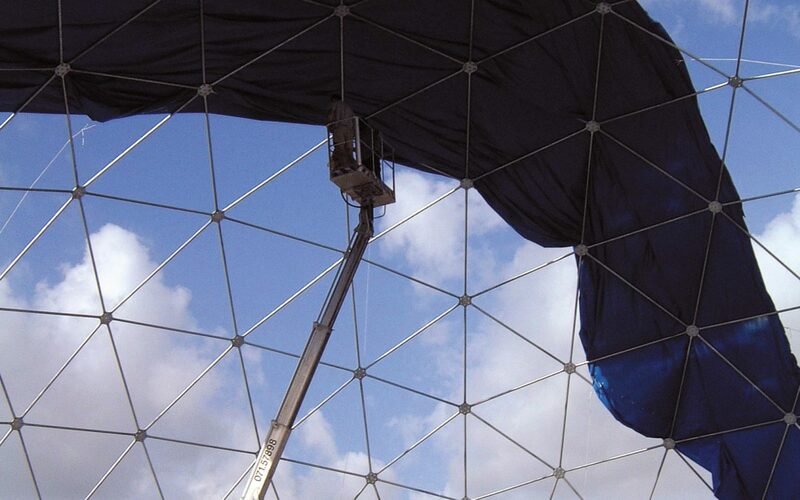 To implement the room in an earthquake threatened area in south Italy, the selection fell on a Fuller dome, a geodesic dome with 30 metres in diameter and 15 metres in height. 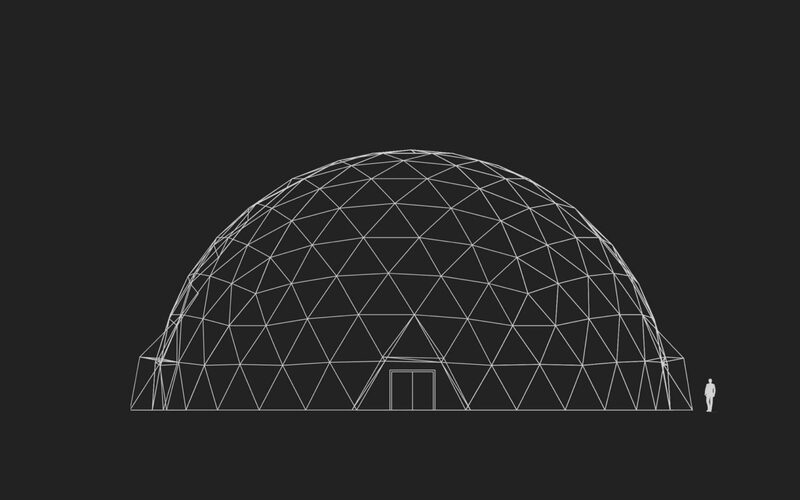 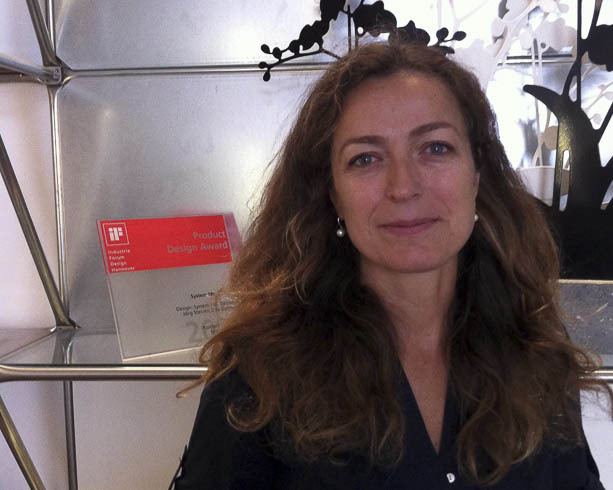 After planning and production in Berlin in only a few days the structure, shell and entrances will be assembled on-site. 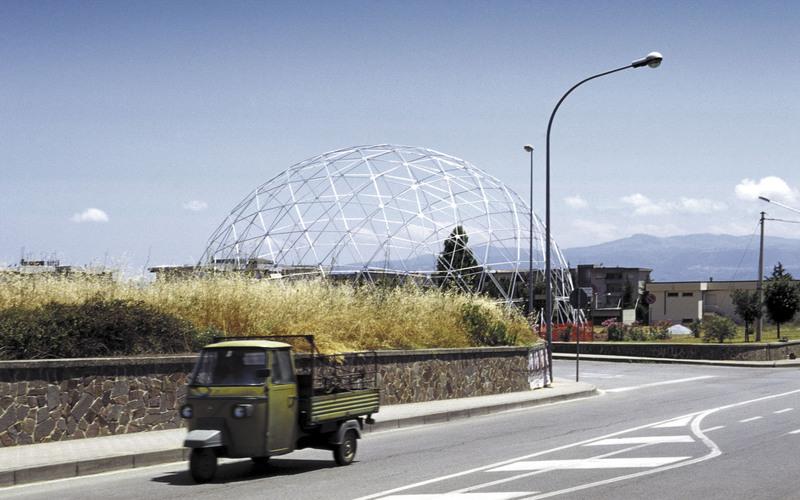 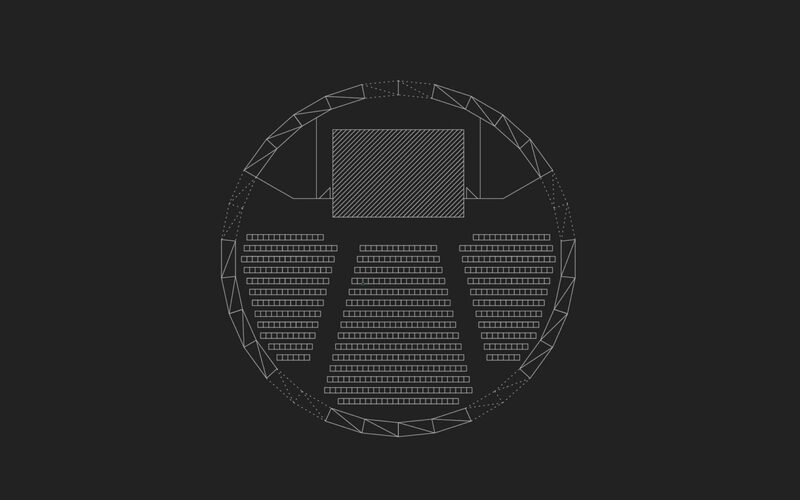 The dome in Lamezia is our largest implemented dome project to date. 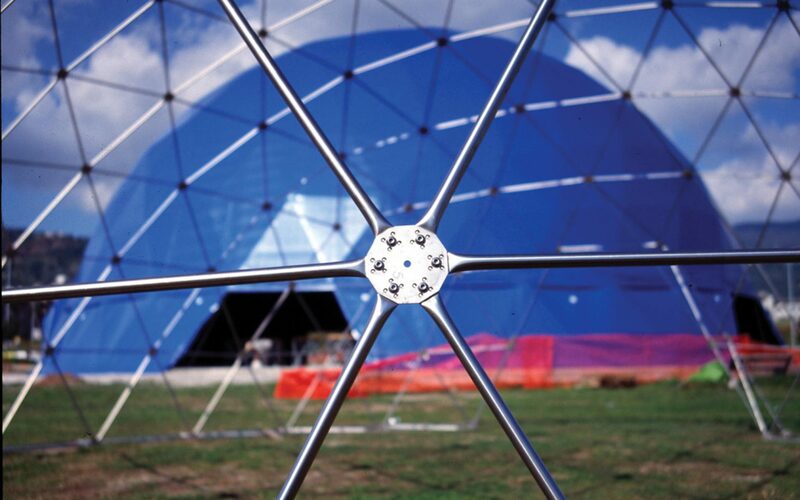 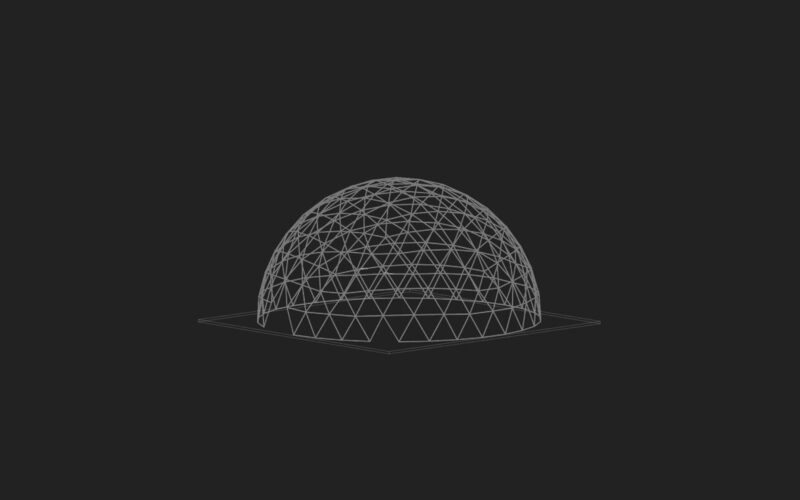 Geodetic domes are distinguished by their high safety during earthquakes as they absorb deformation by swinging and also their good material to volume ratio. 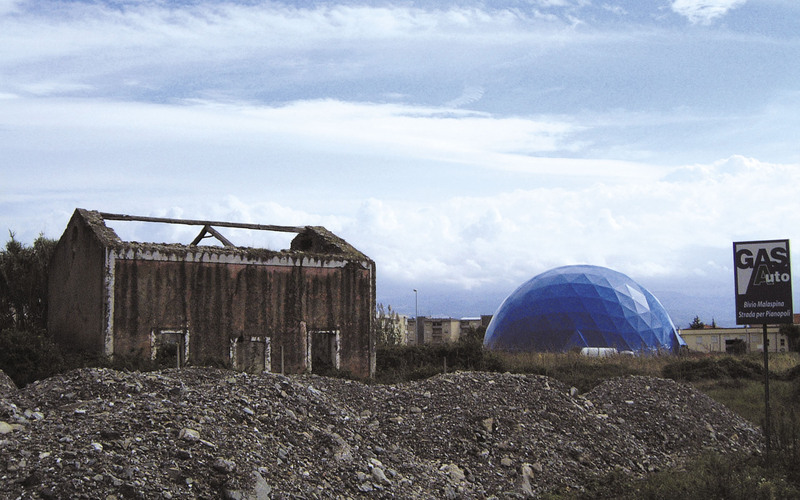 The dome still represents a visual symbol for the community that can be seen from a distance.